Apr 06, 2016 ENDUR3 and ENDUR3+ – Olympus Labs Amino Acid Supps! Intra-Workout That Provides A Maximum Protein Synthesis, Reduces Fatigue And Muscle Soreness! Olympus Labs designed the perfect peri-workout product with ENDUR3. It remains the ultimate workout igniter to ENDUR3 workouts of the highest intensity. Because, when DemiGods train, it is an all-out assault on the muscles. 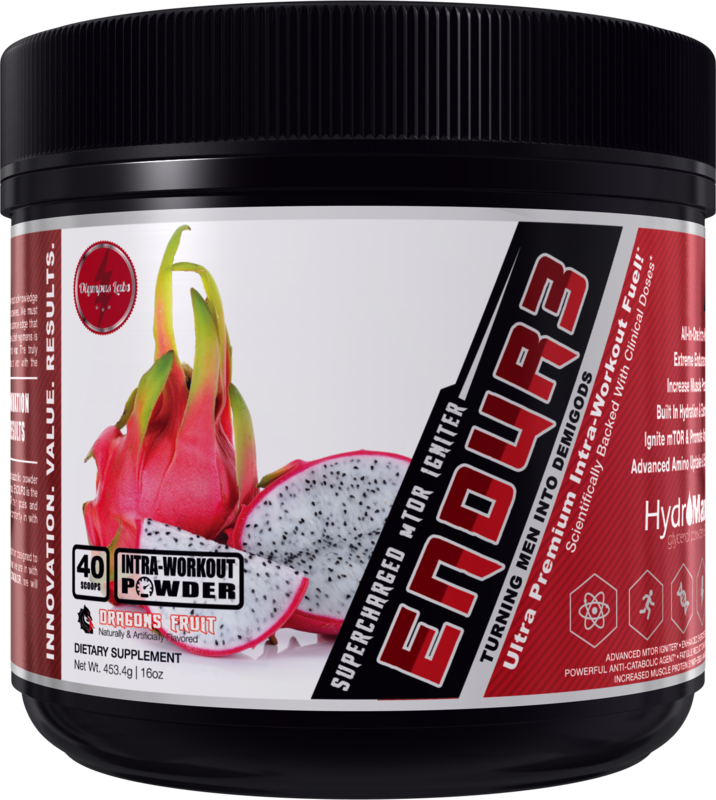 ENDUR3 provides a maximum level of muscle protein synthesis (MPS), reduces fatigue and muscle soreness, hydrates the body as well as increasing blood flow, exercise capacity and endurance. It is a perfect and potent formula that has elevated the workouts of several DemiGods and DemiGoddesses worldwide! The formula is powered by the Maximum mTOR Igniting BCAA Matrix featuring 7.5g of InstAminos BCAAs in a 4:1:1 ratio; delivering 5g of Leucine per dose. A high dose of Leucine is by far the most effective amino acid to stimulate protein synthesis. Do not be fooled by fancy ratios, if the Leucine content of any product is below 5g per serving you are losing out on precious gains. With the addition of 2 grams of Velositol we take muscle protein synthesis (MPS) to another level! Velositol increases rates of muscle protein synthesis by 25% according to research in humans. To support muscle recovery we included The Fatigue Destroying Matrix which consists of 2g of L-glutamine, 1g of Taurine and 480mg VitaCherry. It reduces reduce fatigue, cramping and can also improve endurance according to research in humans. In order to ensure you stay hydrated and further prevent muscle cramping we included the Maximum Hydration Matrix, a combination of electrolytes. So when should you use ENDUR3 BCAA? 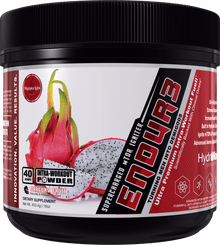 Although ENDUR3 BCAA has the most benefit when used immediately before, during and after workouts, that is not the only time you should use it. It can be used in-between meals to prevent muscle breakdown, when those intervals exceed 3-4 hours. In addition, supplementation with amino acids can even be beneficial on rest days or anytime where protein ingestion may be low. ENDUR3 BCAA only contains effective ingredients at proper doses, including three patented ingredients. Do not settle for inferior products with subpar ingredients or inadequate doses. In order to RE1GN inside and outside of the gym you need ENDUR3 BCAA.